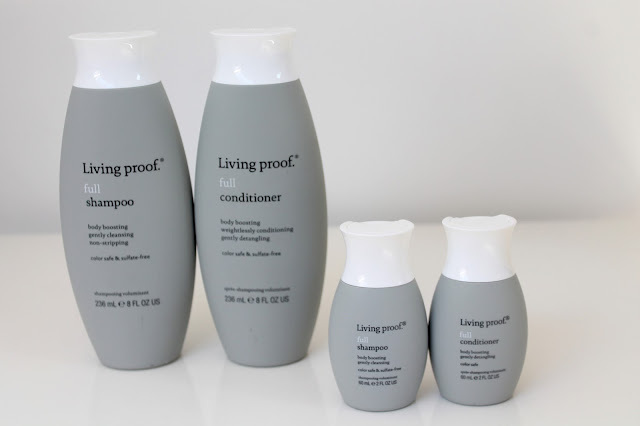 My mum has been using Living Proof full shampoo and conditioner (£21 each) for a few months now and we have both been loving it. I have tried my fair share of cheap and expensive shampoo and condoners and I do have to say that investing a little bit more into your routine does make a difference. As we are going on holiday in a few weeks time, my mum brought the Living Proof Full Discovery Kit (£27). In this kit you get 60ml Full Shampoo and 60ml Full Conditioner (Photographed), 53ml Full Thickening Moose and 7.10ml Full Root Lifting Spray (Not Photographed). This kit is an ideal way of trying out the Living Proof range without spending a fortune on the full size to start with. If the teeny tiny bottles don’t persuade you to try out the range I don’t know what will. -They are so cute. 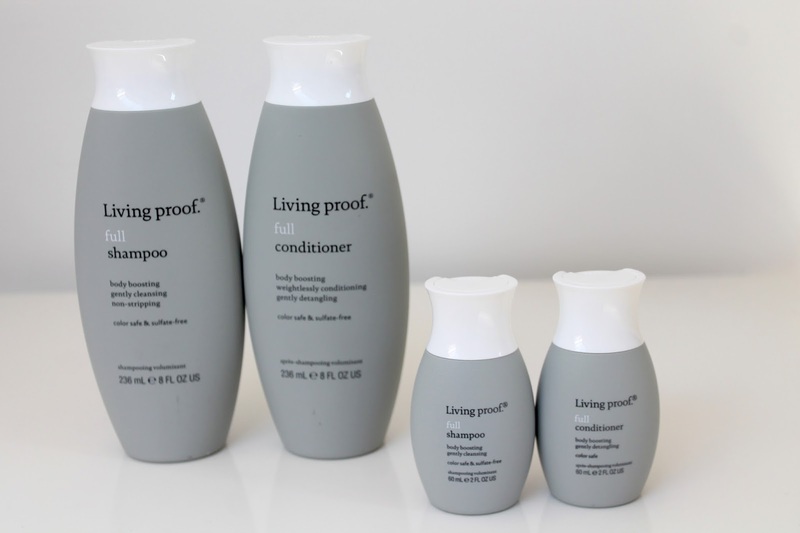 Have you tried out any of the Living Proof range? What do you think? P.s Sorry this post wasn’t up yesterday, I got a last minute job and didn’t have time to post anything.